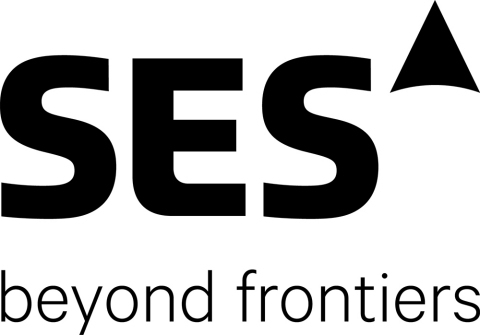 LUXEMBOURG--(BUSINESS WIRE)--SES S.A. announced solid financial results for the six months ended 30 June 2018, in line with the company’s expectations, with double-digit underlying growth in SES Networks driving an increase in overall underlying group revenue. Steve Collar, President and CEO, commented: “We have delivered a strong first half of 2018, fully in line with our expectations and continuing our momentum from the first quarter. It is pleasing to see that our underlying revenues are growing again, fuelled by sustained performance from our Networks business and in particular from our aeronautical and government customer segments. “Our strong focus on execution in the core of our business delivered important renewals at our video neighbourhoods in Western Europe and the U.S., while we also secured new agreements to expand video platforms in Latin America and Eastern Europe. “Strong sales execution in SES Networks delivered important new contracts across all verticals, including in our Fixed Data business, as well as Mobility which continues to grow strongly. We also secured important new agreements in both our U.S. and Global government businesses and the strong growth in the first half of 2018 was underscored with the recent signature of an important 'Blanket Purchase Agreement' with the U.S. Government for services on our O3b fleet. “We have completed the review of the outlook, as described during our Q1 2018 results, and we are pleased to reaffirm our revenue and EBITDA outlook for 2018. Our expectation is that we will be able to deliver revenue within the top half of the range and deliver on our implied EBITDA, albeit with a modestly lower EBITDA margin. 2020 also looks solid. We have trimmed our expectations of our video business and adjusted our forecast EBITDA margin, reflecting the growing importance of SES Networks in our business mix and the end-to-end managed service nature of that business. Overall the picture for SES is a healthy one with a large and profitable video business, coupled with a dynamic and differentiated Networks business delivering double-digit year-on-year growth for the foreseeable future. Group revenue of EUR 981.4 million and EBITDA of EUR 621.1 million was in line with the company’s expectations, with underlying revenue (excluding periodic and other) of EUR 961.4 million growing by 1.5% (at constant FX). The implementation of IFRS 15 accounting change is now expected to have no negative impact (previously EUR 15-20 million) as the standard makes an allowance for a transitional adjustment. The 2018 outlook has been restated accordingly, adding back the EUR 15-20 million, and an amount of EUR 10.4 million has been recorded in H1 2018 revenue. SES Video’s underlying revenue of EUR 650.0 million in H1 2018 was 2.3% lower than H1 2017 at constant FX with growth in video services offsetting lower video distribution revenue. Q2 2018 underlying revenue of EUR 328.5 million included a EUR 10.4 million transitional adjustment, as noted above. Important renewals were signed across SES’ core video neighbourhoods (including Viacom, M7 Group and Comcast). These complemented multi-year agreements in Latin America (PCTV) and Central and Eastern Europe (Telekom Srbija). MX1 signed additional business, notably to support the distribution of UHD broadcasting of the FIFA World Cup. SES Networks’ underlying revenue of EUR 311.4 million was 10.6% higher than H1 2017 at constant FX. Mobility (+30.9%) and Government (+17.4%) delivered strong growth, while Fixed Data revenue (-5.6%) was lower than the prior period. SES Networks’ underlying revenue in Q2 2018 was EUR 158.4 million (up 12.7% versus Q2 2017 at constant FX). The business continued to build momentum and secured important new agreements across all Networks’ verticals with Fixed Data business (Wateen Telekom and Our Telekom); in Mobility (STECCOM and MSC) and in Government (Burkina Faso and the European Space Agency), as well as a Blanket Purchase Agreement with the U.S. Department of Defense. Periodic and other revenue in H1 2018 was EUR 20.0 million compared with EUR 39.6 million in H1 2017 at constant FX which included a significant up-front contribution from the sale of transponders to Global Eagle Entertainment. EBITDA margin of 63.3% included a restructuring charge of EUR 8.4 million associated with the group’s on-going optimisation programme. Excluding this item, the EBITDA margin was 64.1%. Net profit attributable to SES shareholders of EUR 227.7 million in H1 2018 included a positive tax contribution related to the recognition of a deferred tax asset following the entry into service of SES-16/GovSat-1 in Q1 2018, as well as the transfer of the O3b Jersey business to Luxembourg in Q2 2018. Net debt to EBITDA ratio (as per the rating agency methodology) of 3.53 times increased from 3.27 times at Q4 2017 due mainly to the decrease in 12-month rolling EBITDA caused by FX and lower periodic and other revenue, as well as the higher proportion of capital expenditure, interest and dividend payments in the first half of 2018. The net debt to EBITDA ratio is expected to be below 3.30 times by the end of 2018. SES’s fully protected contract backlog at 30 June 2018 stood at EUR 7.1 billion (30 June 2017: EUR 7.4 billion at constant FX). Over 90% of the 2018 expected group revenue is already contractually committed. Underlying revenue of EUR 961.4 million was EUR 14.4 million (or 1.5%) higher than H1 2017 at constant FX. Total group revenue included periodic and other revenue of EUR 20.0 million (H1 2017: EUR 43.6 million). Second quarter 2018 underlying revenue of EUR 486.9 million was EUR 14.5 million (or 3.1%) higher at constant FX than the prior period. This included a transitional adjustment of EUR 10.4 million relating to the first year adoption of changes in IFRS 15, as noted above. “Underlying” revenue represents the core business of capacity sales, as well as associated services and equipment. This revenue may be impacted by changes in launch schedule and satellite health status. “Periodic” revenue separates revenues that are not directly related to or would distort the underlying business trends on a quarterly basis. Periodic revenue includes: the outright sale of transponders or transponder equivalents; accelerated revenue from hosted payloads during the course of construction; termination fees; insurance proceeds; certain interim satellite missions and other such items when material. SES Video’s underlying revenue of EUR 650.0 million was EUR 15.5 million (or 2.3%) lower than H1 2017 at constant FX. Total revenue for SES Video in H1 2018 included EUR 8.5 million of periodic revenue (H1 2017: EUR 6.5 million). Second quarter 2018 underlying revenue of EUR 328.5 million was EUR 3.3 million (or 1.0%) lower at constant FX than the prior period and EUR 10.2 million (or 3.1%) lower at constant FX excluding the impact of IFRS 15 as noted above. At H1 2018, SES distributed 7,941 total TV channels globally, up 3% compared with H1 2017 reflecting positive development across all major regions. 65.0% of total TV channels are now broadcast in MPEG-4 (H1 2017: 63.5%). Acceleration of High Definition (HD) in Europe, North America and International markets led to a year-on-year increase of 7% in the global number of HDTV channels, now totalling 2,765, while the total number of commercial UHD channels also increased from 20 to 38 compared with H1 2017, mainly driven by new Ultra HD (UHD) TV channels launched in Europe. Underlying revenue in H1 2018 was 4.2% lower than H1 2017. European distribution revenue remained stable compared with H1 2017. North America decreased, as anticipated, due to the lower volume from the switch-off of SD TV channels that had already been replaced with HD, as well as lower revenue from the occasional use business. In International, there is an encouraging commercial pipeline for SES-9 and SES-10 which will support the gradual ramp-up of these new assets. This will offset the impact of market conditions which remain challenging in the near term, contributing to lower (year-on-year) underlying revenue. Second quarter 2018 underlying revenue of EUR 242.7 million was 4.2% lower (constant FX) than the prior period. Underlying revenue was 3.7% higher in H1 2018 compared with the prior period. The HD+ business grew as a result of the increase in the annual subscription fee (from EUR 60 per annum to EUR 70 per annum) that was introduced at the start of Q2 2017. This was complemented by stability in MX1 revenue as new business in Europe, bundling capacity and services, offset non-renewal of certain legacy contracts. Second quarter 2018 underlying revenue of EUR 85.8 million was 9.5% higher (constant FX) including the EUR 10.4 million transitional adjustment relating to IFRS 15, as noted above. Underlying revenue of EUR 311.4 million was EUR 29.8 million (or 10.6%) higher than H1 2017 at constant FX reflecting new revenue in aeronautical mobility, as well as growth in both U.S. and Global Government revenue. Total revenue for SES Networks in H1 2018 included EUR 10.8 million of periodic revenue. This compared with periodic revenue of EUR 31.6 million in H1 2017 which included the second of two significant up-front revenue contributions from the sale of transponders to Global Eagle Entertainment. Second quarter 2018 underlying revenue of EUR 158.4 million was 12.7% higher (constant FX) than the prior period. Underlying revenue grew by 17.4% in H1 2018, compared with H1 2017. There was strong growth in U.S. Government business which was driven by the significant incremental adoption of SES Networks’ O3b-based services by the U.S. Department of Defense. Global Government revenue also saw strong growth as the extension and expansion of service commitments was complemented by the commencement of services on SES-16/GovSat-1 which entered into commercial operation at the end of Q1 2018. Second quarter 2018 underlying revenue of EUR 63.8 million was 21.7% higher (constant FX) than the prior period. Underlying revenue in H1 2018 was down 5.6% year-on-year at constant FX. Revenue in the Americas and Asia grew benefiting from the on-going expansion of managed service agreements supporting telecommunications companies and mobile network operators to extend their 3G and 4G network reach. Fixed Data revenue in Europe, the Middle East and Africa were lower (year-on-year) reflecting the impact of lower wholesale capacity revenue which offset positive momentum on the O3b Medium Earth Orbit (MEO) fleet. Second quarter 2018 underlying revenue of EUR 54.8 million was 5.3% lower (constant FX) than the prior period. Underlying revenue grew by 30.9%, versus H1 2017, driven by strong demand from aeronautical service providers in North America following the entry into service of SES-15 in January 2018. Maritime revenue was marginally negative (year-on-year) as lower equipment-related revenue offset a positive contribution from services contracted by new customers recently secured in cruise. Second quarter 2018 underlying revenue of EUR 39.8 million was 31.3% higher (constant FX) than the prior period. Other revenue includes transactions not directly applicable to SES Video or SES Networks and was EUR 0.7 million in H1 2018, compared with EUR 5.5 million in H1 2017. This included EUR 0.5 million in the second quarter 2018 (Q2 2017: nil). The first six months of 2018 was an important and successful period, as SES-14, SES-16/GovSat-1, four additional O3b satellites (satellites 13 to 16) and SES-12 were launched, adding important future growth capabilities. SES-16/GovSat-1 entered into service in March 2018, while O3b satellites 13 to 16 are now augmenting the existing constellation of 12 MEO satellites. 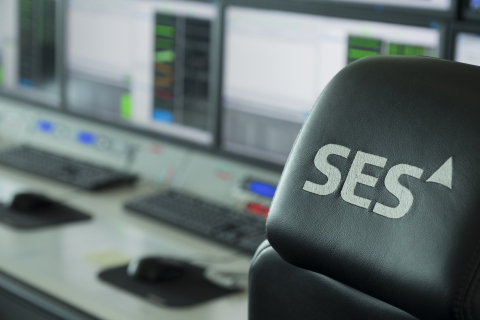 SES-14 and SES-12 are expected to enter into service by Q4 2018 and Q1 2019, respectively. Following the review by the incoming CEO and CFO, the 2018 revenue outlook is unchanged and expected to be within the top half of the range, driven by strong growth in SES Networks’ revenue. This performance supports the previously implied Group EBITDA for 2018 of over EUR 1,270 million (as shown below), notwithstanding the updated EBITDA margin which reflects the increasing contribution of SES Networks to the overall business. Group revenue is expected to grow between 2018 and 2020, fuelled by the strong growth outlook for SES Networks which is re-affirmed. The outlook for SES Video revenue in 2020 is updated to reflect a more prudent expectation for the business. Over the same period, Group EBITDA is also expected to grow as the additional revenue from SES Networks more than offsets the lower expected EBITDA margin profile; in line with SES’ strategy of delivering best-in-class managed services and changing business mix. Establishing SES as an integrated provider of media and connectivity solutions will allow the business to maximise customer retention and satisfaction; develop and capture new growth opportunities; increase scale and operational leverage; enhance competitive advantage and enable SES to deliver sustained and profitable growth over the medium-to-long term. Reported revenue was EUR 67.3 million lower than the prior period, of which EUR 62.0 million (over 90%) was as a result of the weaker U.S. dollar since H1 2017. At constant FX, lower periodic and other revenue in H1 2018 offset growth in underlying revenue which increased by EUR 14.4 million (or 1.5%). Operating expenses were EUR 1.3 million lower as reported and EUR 23.1 million higher at constant FX including a restructuring charge of EUR 8.4 million as part of the roll-out of a company-wide optimisation programme. The balance of the movement at constant FX reflects higher operating expenses, primarily to support the expansion of SES Networks, as this segment captures new business from fast-growing data-centric demand. Group EBITDA of EUR 621.1 million in H1 2018 represented an EBITDA margin of 63.3% (H1 2017: 65.5%) and 64.1% excluding the restructuring charge. Reported depreciation, impairment and amortisation expense reduced by EUR 37.7 million to EUR 343.4 million. This reflected the impact of the weaker U.S. dollar and the impairment charge of EUR 38.4 million expensed in the prior period. These items offset an increase driven by the entry into service of new satellites since 30 June 2017. Group operating profit represented an operating profit margin of 28.3% (H1 2017: 29.2%) including the restructuring charge of EUR 8.4 million. Net financing costs were EUR 6.6 million higher than H1 2017 which included a net foreign exchange gain of EUR 5.7 million. Excluding this gain, net financing costs were slightly higher than the prior period as lower capitalised interest offset lower net interest expense. The positive income tax contribution included the recognition of a one-time deferred tax asset relating to SES-16/GovSat-1 in Q1 2018, as well as the transfer of the O3b Jersey business to Luxembourg in Q2 2018. The group’s normalised effective tax rate was 27.3% in H1 2018 (H1 2017: 13.1%). The recognition of the deferred tax asset relating to SES-16/GovSat-1 is also the principal reason for the increase in non-controlling interests as the satellite is owned by GovSat, a 50/50 public private partnership between SES and the Government of Luxembourg. Consequently, net profit attributable to SES shareholders of EUR 227.7 million (H1 2017: EUR 275.5 million) represented earnings per share of EUR 0.45 (H1 2017: EUR 0.56) after deducting the assumed coupon (net of tax) for the group’s hybrid (perpetual) bonds. Net cash generated by operating activities was EUR 52.9 million above the prior year including positive changes in working capital. Higher cash generated by operating activities and lower net cash absorbed by investing activities resulted in an increase of EUR 63.5 million (or +16.9%) in free cash flow before financing activities compared with the prior year. Consequently, the ratio of free cash flow before financing activities to revenue increased from 35.8% in 2017 to 44.7% in 2018. The group’s Net debt to EBITDA ratio (as per the rating agency methodology which treats the hybrid bonds as 50% debt and 50% equity) at 30 June 2018 of 3.53 times (30 June 2017: 3.24 times) increased from 3.27 times at 31 December 2017 due mainly to the decrease in 12-month rolling EBITDA caused by FX, lower periodic and other revenue, as well as the higher proportion of capital expenditure, interest and dividend payments in the first half of 2018. The net debt to EBITDA ratio is expected to be below 3.30 times at the end of 2018. “Underlying” revenue represents the core business of capacity sales, as well as associated services and equipment. This revenue may be impacted by changes in launch schedule and satellite health status. “Periodic” revenue separates revenues that are not directly related to or would distort the underlying business trends on a quarterly basis. Periodic revenue includes: the outright sale of capacity; accelerated revenue from hosted payloads during the course of construction; termination fees; insurance proceeds; certain interim satellite missions and other such items when material. The presentation will be available for download from the Investors section of the SES website (www.ses.com), and a replay will be available for two weeks from the Investors section of the SES website. This presentation does not, in any jurisdiction, and in particular not in the U.S., constitute or form part of, and should not be construed as, any offer for sale of, or solicitation of any offer to buy, or any investment advice in connection with, any securities of SES nor should it or any part of it form the basis of, or be relied on in connection with, any contract or commitment whatsoever. No representation or warranty, express or implied, is or will be made by SES, its directors, officers or advisors or any other person as to the accuracy, completeness or fairness of the information or opinions contained in this presentation, and any reliance you place on them will be at your sole risk. Without prejudice to the foregoing, none of SES or its directors, officers or advisors accept any liability whatsoever for any loss however arising, directly or indirectly, from use of this presentation or its contents or otherwise arising in connection therewith. This presentation includes “forward-looking statements”. All statements other than statements of historical fact included in this presentation, including, without limitation, those regarding SES’s financial position, business strategy, plans and objectives of management for future operations (including development plans and objectives relating to SES products and services) are forward-looking statements. Such forward-looking statements involve known and unknown risks, uncertainties and other important factors that could cause the actual results, performance or achievements of SES to be materially different from future results, performance or achievements expressed or implied by such forward-looking statements. Such forward-looking statements are based on numerous assumptions regarding SES and its subsidiaries and affiliates, present and future business strategies and the environment in which SES will operate in the future and such assumptions may or may not prove to be correct. These forward-looking statements speak only as at the date of this presentation. Forward-looking statements contained in this presentation regarding past trends or activities should not be taken as a representation that such trends or activities will continue in the future. SES and its directors, officers and advisors do not undertake any obligation to update or revise any forward-looking statements, whether as a result of new information, future events or otherwise.